It is of course true that the United States has long desired a friendly government in the oil rich nation. It is well known that the United States backed the coup in 2002 and headlines such as: ‘Venezuela Is a Disaster. Time for a Coup?’  are not rare in the American press. This particular headline appeared in the New York Times on September 2018. 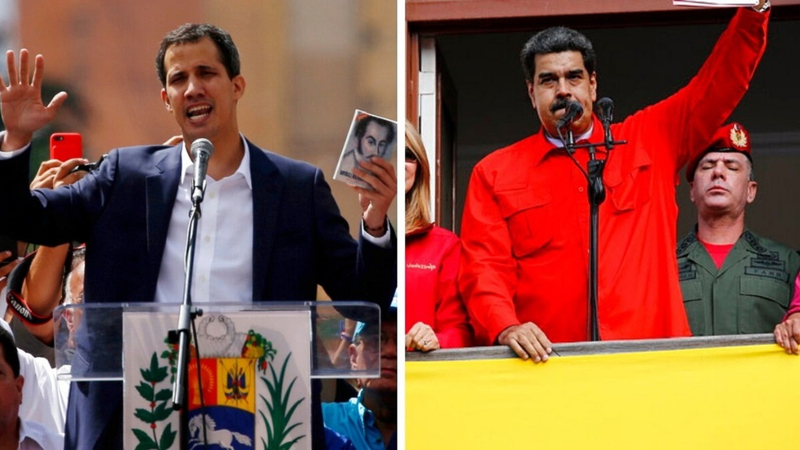 The piece attempts to justify a possible coup by claiming Venezuela’s violation of democracy and human rights and the humanitarian crisis caused by Venezuela’s so-called socialist policies. Indeed, Venezuela’s foreign rivals are always at the end of their chairs when proclaiming their love of democracy and the efficacy of capitalism. But this capitalist rag is blinded by the analysis of the class it represents. It attempts to portray the crisis as merely political and national. The truth of the matter is the crisis in Venezuela can only be understood in the context on the ongoing global capitalist crisis. The truth of the matter is that whether we are talking about the anti-Maduro United States or the pro-Maduro Russia it is not a matter of democracy or legitimate government but of their own imperialist interests. Contrary to the cries of both the Venezuelan government and the American and Brazilian backed opposition to “Bolivarian Socialism”, Venezuela remains, as before, a state-capitalist economy based on the extraction of oil rents. The current Chavista government has fed on the surplus-value generated by the working class in Venezuela for nearly two decades. And of course with the capitalist nature of its economy lingers the cloying threat of the well-known capitalist crisis. It is with no surprise with an economy extremely based on oil profits and with little investments in other industries that in June 2014, when international oil prices plummeted, the regime could not help but be thrown into crisis , and as always the misery has been placed on the working class. But to talk of the crisis in Venezuela alone is to miss the point, and when done by the various sections of the bourgeoisie seeks to screen the global proletariat from their shared universal condition in the face of global crisis and to rob us of class independence. The 2014 fall in the price of oil did not just hoist suffering on Venezuelan workers. The once booming oil industry of western Canada now has economists claiming that thousands of oil and gas jobs lost during the Alberta recession are gone for good. Once the destination of many workers from the rest of Canada, the Alberta oil industry has told workers to return to the rust belt of the east, only to find the impending closure of the GM Oshawa Assembly Plant slated for the end of 2019! While it is true that the fall in the price of oil has not hit the Canadian national economy as hard as the Venezuelan national economy, it is undeniable that this crisis is not simply a national affair due to poor policy making, but rather a crisis of global capitalism which places the misery on the world proletariat. The political drama in Venezuela has yet to completely unfold. What is already clear is that the various imperialist interests are finding themselves driven into tension and conflict with one another. As the United States backs away from a Syria in ruins, and with the Russians first in line to receive the $200bn-$500bn reconstruction contracts from Assad , the United States has turned its gaze to another corner of Russian-Chinese influence. Trade wars and regional conflicts have become the norm. Russia enjoys a small victory, China banks on its Belt and Road Initiative and increasing influence in Asia and Africa , and the United States continues to count on its economic dominance and its fleets of nuclear powered aircraft carriers.